Internet each day brings us new initiatives emerging in the world. One of the most interesting we have seen this week is the Italian artist named 'Dito Von Tease', in honor of the avatars has decided to turn their fingers into celebrities. One is just the co-founder of Apple, Steve Jobs. In this very original and peculiar, Dito Von Tease honors celebrities and leading figures in the world. In his gallery, which has suffered some finishing touches in Photoshop, we met other prominent figures such as the Dalai Lama, Mickey Mouse and Mozart. This is a project that began three years ago and now reaches its final stage. The theme chosen by the Italian serves to draw attention to how Internet users escoden its identity after "avatars". 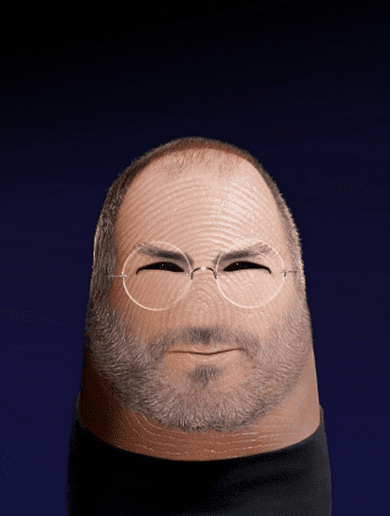 Article Curiosity: An Italian artist turns your finger into an avatar of Steve Jobs has been originally published in News iPhone .